Of private infinity pool, majestic hill views and beautifully done terraces, a weekend at Princess Vista Villa is weekend goals come true! Located at village Kharad Gawande in Lonavala, Princess Vista is a magnificent villa, against the misty blue backdrop of Sahyadris and Tungarli Lake. The property is a charming structure with rusty red roof and glassy windows. There’s a well-manicured garden with shrubs and medium length trees in the front yard. The interiors of the villa boast of subtle colors and expensive wooden cabinets and dining table. There are three rooms in the villa, each with a queen-size bed, air conditioners and cupboards. The best part about the villa that it opens up to an extravagant patio with comfy lawns chairs and jaws-dropping views. The infinity pool out here is beyond words. Perfect for gang of eight or 10, we say book the place for INR 32,100 per night. For more details click here. 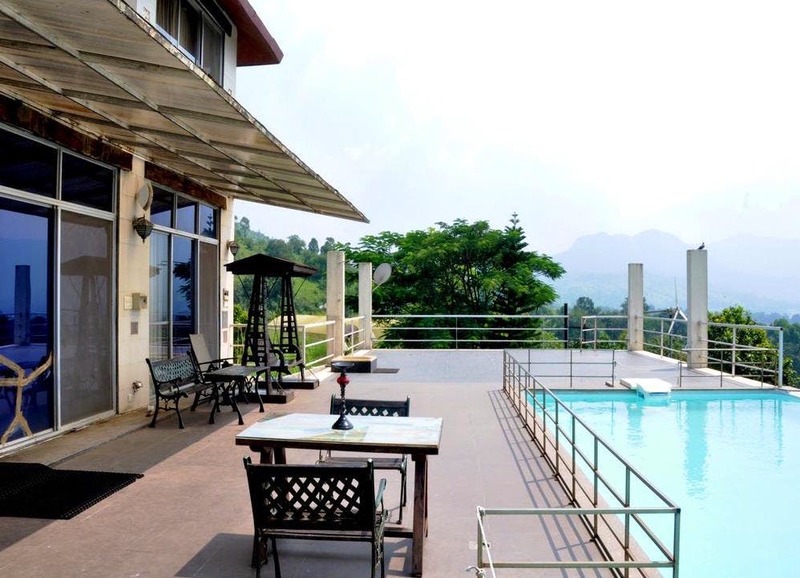 Take a couple of days off, and enjoy a memorable getaway with the buds at Villa Princess Vista.